First published in 1941, The Pure Theory of Capital has long been overlooked. This volume offers a detailed account of the equilibrium relationships between inputs and outputs in a time-filled economy. Hayek’s stated objective was to make capital theory—which had previously been devoted almost entirely to the explanation of interest rates—“useful for the analysis of the monetary phenomena of the real world.” His ambitious goal was nothing less than to develop a capital theory that could be fully integrated into business cycle theory. 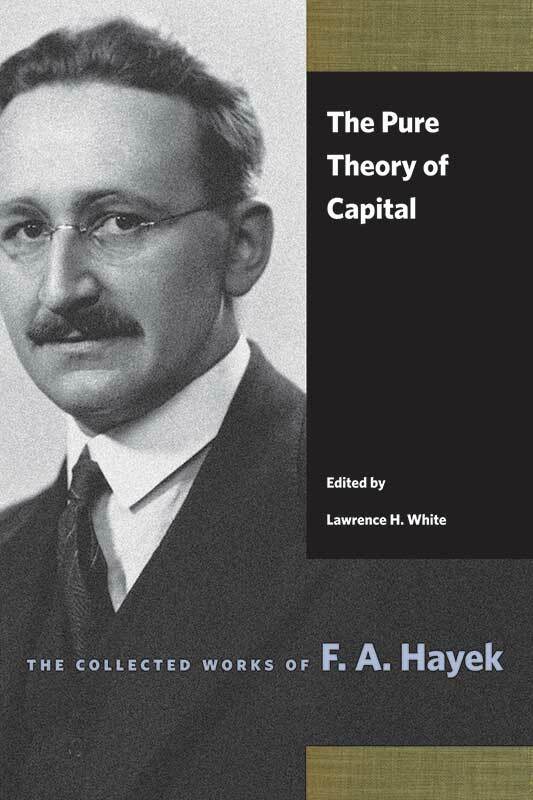 Hayek’s manifesto of capital theory is now available again for today’s students and economists to discover. Lawrence H. White is Professor of Economics at George Mason University. Editorial foreword by Bruce Caldwell, editor's introduction, preface, analytical table of contents, guide to terms, bibliography, appendixes.